Spending too long in the sun can damage your skin. By the time you have a painful sunburn, it’s too late; you’ve already overdone it. You can plan your day based on the UV forecast in a weather app, but forecasts are no guarantee of the actual conditions and can’t account for how long you’re exposed to harmful UV-A and UV-B rays. The awkwardly-named My Skin Track UV sensor by La Roche-Posay is designed to pick up where forecasts leave off by measuring your actual exposure to harmful UV rays throughout the day without needing to be charged. It’s a remarkably small wearable sensor with a companion app that reports other environmental data too. 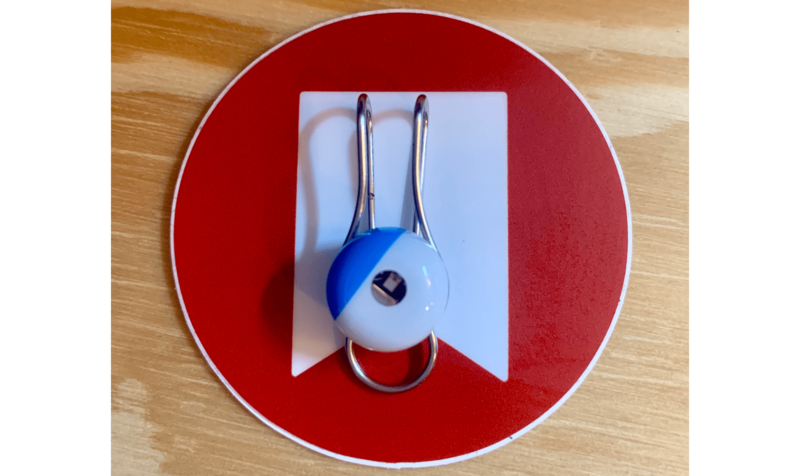 The My Skin Track UV sensor performed well in my testing, and I felt like it provided useful, actionable data about potentially harmful conditions that would be hard to judge without the device. The lack of charging and diminutive size makes the My Skin Track UV sensor easy to carry with you all day too. The trouble is, the My Skin Track UV is so small and light, and the clip is just slippery enough, that it’s easy to misplace or lose altogether, which I promptly did. Here’s what happened. Second, the device doesn’t need to be charged, which was incredibly appealing because I have too many things to charge already. 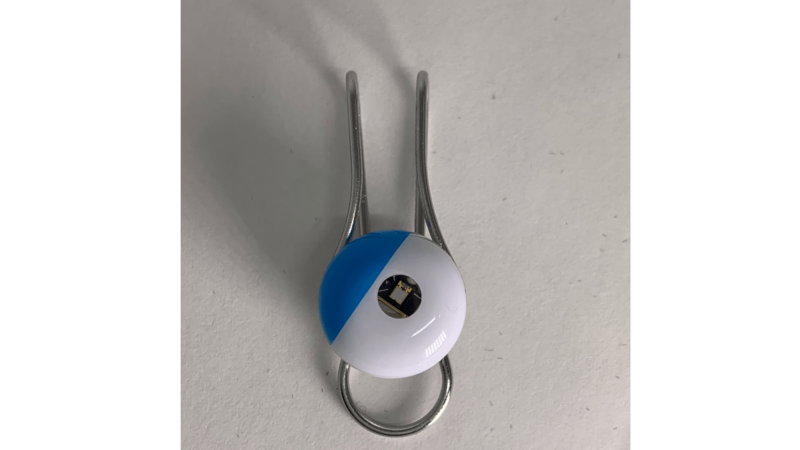 The sensor, which you can see through the window in the center of the little blue and white disk is activated by the sun’s rays and powered by your iPhone during the data transfer process using the near-field communication protocol. The convenience of not having to charge the My Skin Track UV comes with a trade-off, however. The data the device collects is not automatically transferred to your iPhone. Instead, you have to open the companion app, tap the scan button, and then touch the top of your phone to the device holding it there for a couple of seconds until you get confirmation that the transfer was successful. It’s not a huge hassle, but it’s an extra manual step you need to remember to do. Fortunately, the app can remind you periodically throughout the day to scan the My Skin Track. 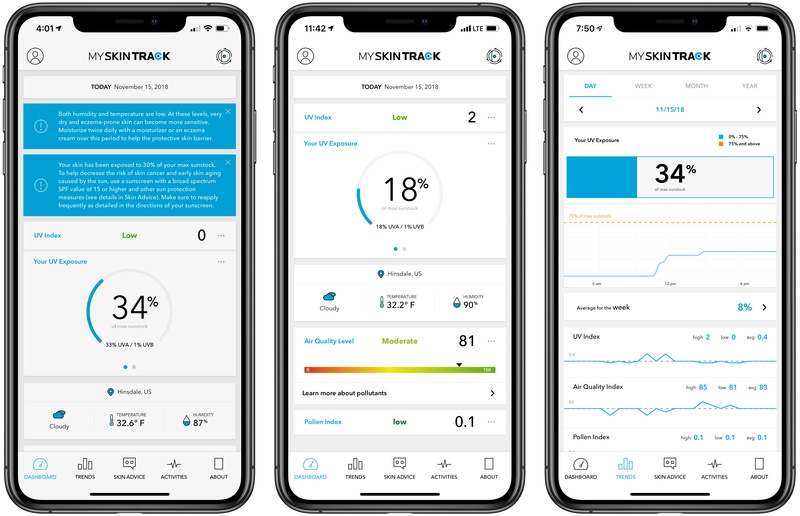 The My Skin Track UV’s companion app includes a Dashboard tab that does a good job of tracking the UV data collected by the device. It also reports the air quality index, pollen count, and humidity, though these statistics are gathered from online sources for your general area and not by the device itself. Still, through charts and statistics, the app provides an excellent overview of environmental factors that affect your skin and health in general. The data collected can be synced to Apple’s Health app too. For UV exposure in particular, the app provides a score called the max-sunstock, which is expressed as a percentage. As you move through the day and are exposed to UV rays, the percentage increases. One day during my testing I went for a two-mile walk and ran a few errands around town, but our short, cloudy winter days meant that I ended the day with just 38% exposure, which is good. Spend a day in the sun closer to the equator, however, and you’ll see that percentage increase much more rapidly. The app displays alerts at the top of the Dashboard view, which are delivered as push notifications too. Maybe it’s a hazard of living in a cold climate, but in my testing, I was warned that the air is cold and dry repeatedly, and I should moisturize twice a day. That got old quickly. It’s still November and the thought of getting that same notification hundreds of times over the next several months led me to turn off notifications after a couple of days. 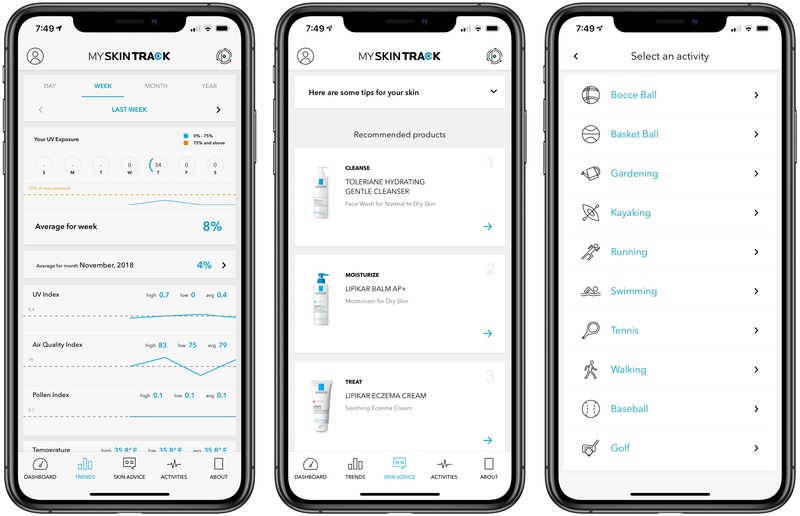 The app also includes a Trends tab that displays each category of data by week, month, and year and a Skin Advice tab that’s just a store from which you can purchase La Roche-Posay skin products. There’s an Activities tab for tracking the time you spend on activities in the sun too. It’s a somewhat unusual list that includes everything from bocce ball and gardening to tennis and walking and feels unnecessary and a little out of place in contrast to the Dashboard and Trends tabs. Quirks of the app aside, using the My Sun Track UV is easy, and there’s a value in the awareness the device creates by tracking conditions in real-time. However, a substantial part of the ease of use of My Sun Track UV is its size. The sensor is remarkably tiny and lightweight. That makes it easy to clip to just about anywhere on your clothing or the belongings you carry with you outside. Ultimately though, that’s also one of the My Skin Track UV’s greatest disadvantages too. For the device to work, it has to be able to see the sun. That means clipping it to the outer layer of your clothing, glasses, hat, or a bag for example. There are two problems with that. First, the clip is stiff, but polished metal like a paper clip. Depending on the fabric to which it’s attached, the clip can easily move around and get knocked off. That’s exacerbated by the fact that it needs to be on an outer layer where it’s more susceptible to getting snagged on things or bumped. Second, the device is so light that you forget it’s there. That’s an advantage because you wouldn’t want to feel like the device was pulling at your clothing all day, but you also won’t notice if it falls off. The size also makes the My Skin Track UV hard to keep track of. It’s so small and light, it’s easy to wash with your laundry inadvertently, and though it’s IP67 water resistant, it’s not meant to be submerged for more than 30 minutes, so I doubt it’s up to a tumbling trip through hot soapy water for an hour. The size of the device makes it easy to misplace too. Imagine having to carry a paper clip with you every day without losing it, and you’ll have a sense for what I mean. Which leads me to the current status of the My Skin Track UV I was testing. I initially tried clipping it to the cuff of my shirt, but it was clear that wasn’t going to work. The clip was too slippery, and the sensor got knocked around too easily throughout the day, so I moved it to the collar of my shirt. The shirt clipping technique worked for four days before the sensor disappeared. Maybe I wore it to bed and it will show up at some point stuck between the mattress and bed frame. Or perhaps my coat knocked it off into the snow when I was out running errands. The point is, I have no idea because the My Skin Track UV is so lightweight that I didn’t notice it was missing for hours. Anything you clip to your clothing is going to be prone to get knocked off. For example, Fitbit clips were notorious for getting lost too, but the polished metal of the My Skin Track UV clip is far more slippery than any rubberized Fitbit I’ve tried. The silver metal looks nice, but despite the stiffness of the clip, the finish makes it too easy to knock off and if that happens, it’s so small that the likelihood you’ll find it again is remote. Maybe I’m unlucky or just clumsy, but My Skin Track UV’s clip design makes it hard to recommend, which is a shame. 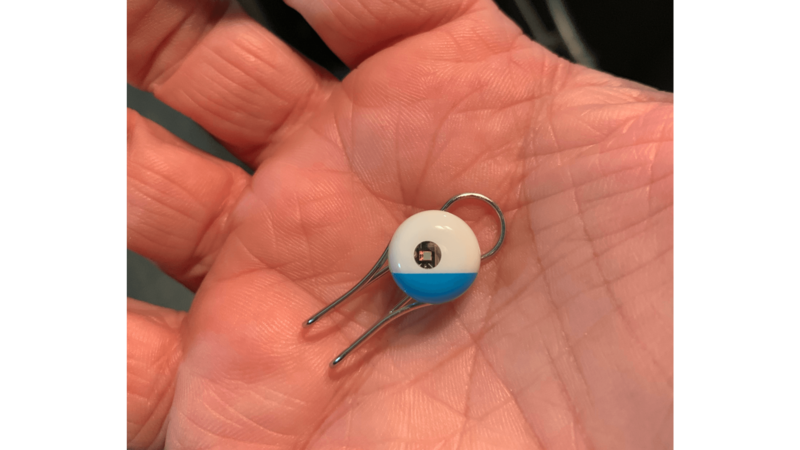 The tech behind it is clever, and there’s merit in tracking UV exposure and other environmental conditions, but the design needs to be improved because at $60 the My Skin Track UV isn’t a device you want to replace often. Maybe with careful monitoring, you’d have better luck with My Skin Track UV than I did, but the mental overhead of checking if it’s still clipped to my clothing isn’t something I want to deal with, so I won’t be replacing it. Instead, I’m holding out hope that it will suddenly appear somewhere in my house in the days ahead. The My Skin Track UV is available exclusively at select Apple Stores and apple.com for $59.95.